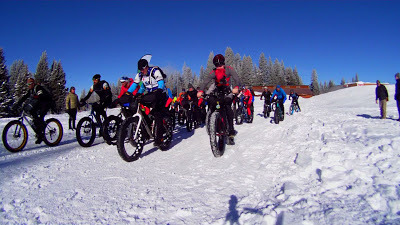 It was over six years ago when I decided to organize the first Togwotee Winter Classic and we had eight fat bike racers show up and slog it out in tough conditions. This past Saturday, 44 racers from four western states took the start line and enjoyed near-perfect winter racing conditions. 44 is a tiny number of racers in comparison to the fields in events like the Leadville 100 or the Laramie Enduro. 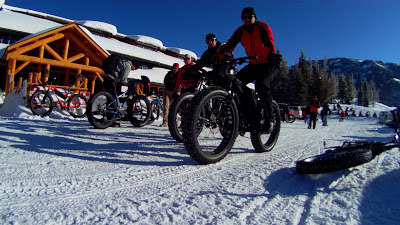 However, when you consider that fat bike are still very new and that Togwotee Mountain Lodge is located at 9,000’ an hour north of Jackson, WY, 44 racers is a huge success in my opinion. Originally, I created this event to grow the niche of fat biking. I absolutely love riding a fat bike on snowy trails in the winter and I wanted to give people a reason to try it for themselves. The Togwotee Winter Classic is my small attempt to give back to the sport I love. As long as I am organizing it, there will never be an entry fee and the event will retain its grass roots feel. 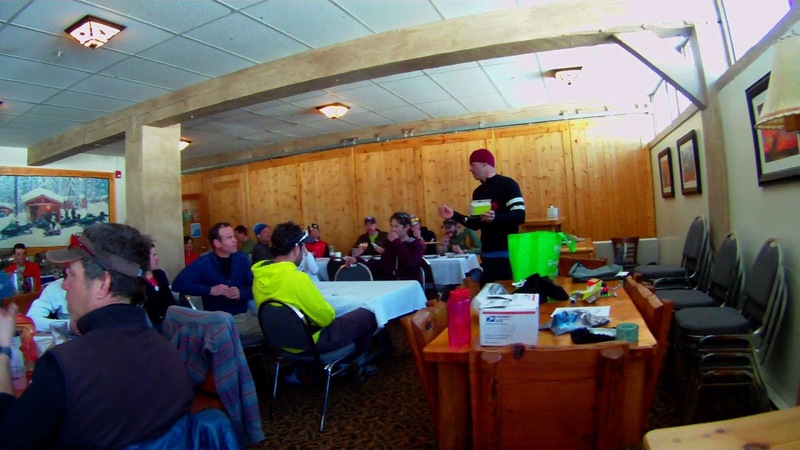 44 Racers started AND finished the 2013 Togwotee Winter Classic. Togwotee Mountain Lodge has been a key partner for this event. Keep in mind that this lodge caters to destination snowmobile riders in the winter. The staff at Togwotee Mountain Lodge has been incredibly gracious about welcoming our merry band of fat bikers into their lodge and making us feel welcome. This year they basically let us take over the entire Fireside Room for the day with race activity. As I think back to the flurry of activity that started for me at 4:45am Saturday morning, I distinctly remember a post-race moment: Fitzy and I were standing in the sunshine just outside the lodge, we were surrounded by fat bikes in one of the most beautiful mountain settings you can imagine, and racers were hanging out and re-living their glorious racing exploits from the day. Everyone had smiles on their faces. This is what it is all about for me. From my point of view as the race organizer, the Togwotee Winter Classic was the best ever. Thank you to the awesome sponsors, the racers, and friends who supported the event. Awesome event, glad you still run the show. The Togwotee Winter Classic is this Saturday!